Its been some time since I’ve written anything game related, so, I figured I’d return with a game that is nearly as old as I am and has been one of my favorite games since it has been out. In fact, I just finished playing it again. 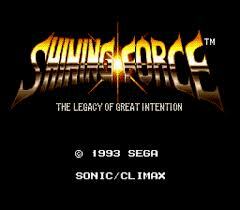 Shining Force: The Legacy of Great Intention is the second instalment of the Shining series of games. Released in 1993, this game is more than two decades old, but is still, by far, one of the best games I have ever played. As a RPG, this game was a wonderfully developed storyline that I have always found to be worth reading time and time again. Upon selecting start the introduction begins, explaining that Guardiana was once ruled by Dark Dragon 1000 years ago.Upon his death Dark Dragon vowed to return to Guardiana. After 1000 years of peace, the evil kingdom of Runefast has risen to free Dark Dragon and conquer all of Guardiana. At the beginning of the game you start out as Max (whose name you do get the option to change), a young warrior under the tutelage of Varios. After completing a short mission for Varios, both Varios and the King of Guardiana are attacked by Kane and his Runefast Knights. Max is then charged with leading The Shining Force and defeating Runefast, ensuring that Dark Dragon does not enslave Guardiana again. 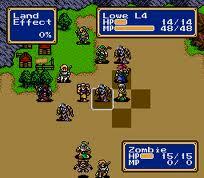 Along with an ex cellent storyline, Shining Force also has one of the best turn-based strategy game play mechanics that I have ever used. During combat scenarios, character and enemy turns are based on an internal roll system. Each character has a set number of spaces they are able to move and each has a unique attack range for various attacks and spells. As with most RPGs, various characters have different arch-types, such as the fighter base, the magician base, and the healer base. Each character also has your stereotypical RPG stat pools, such as health and mana , depending on what type of character they are. Characters can also be promoted upon reaching certain levels, which adds to their base stats, making them stronger overall. The artwork and graphics style also cannot be forgotten. 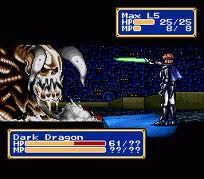 While Shining Force is a 16-bit video game, even now, the graphics are not an eyesore in the least. Even now, I still consider this game to have some of the best artwork in any game that I have played. While the overall game takes place with small 16-bit character models that somewhat resemble what the character should look like, the battle s cenes for each character are extremely detailed and unique. The background for each combat scene is also uniquely drawn and based on the terrain in which the enemy is standing. To boot, as an added bonus, your character’s appearances also changed based on the weapon they are using and what class they have been promoted to. The best part? Shining Force: The Legacy of Great Intention is available for Xbox 360, PS3, and the PC through the Sega Mega packs and Sonic’s Ultimate Genisis Collection.